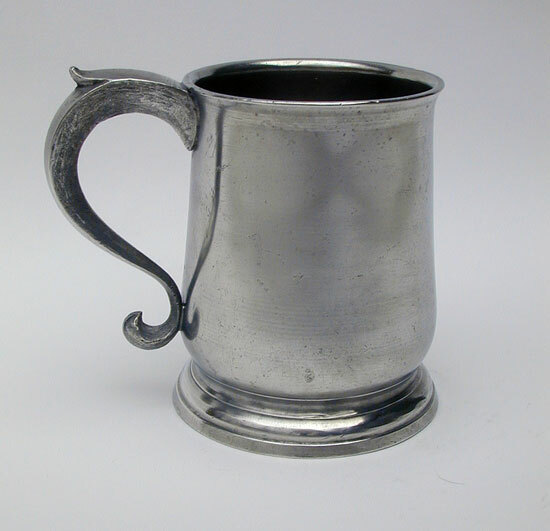 This unmarked 18th century "U" form pint export pewter mug is either a London or Bristol item. 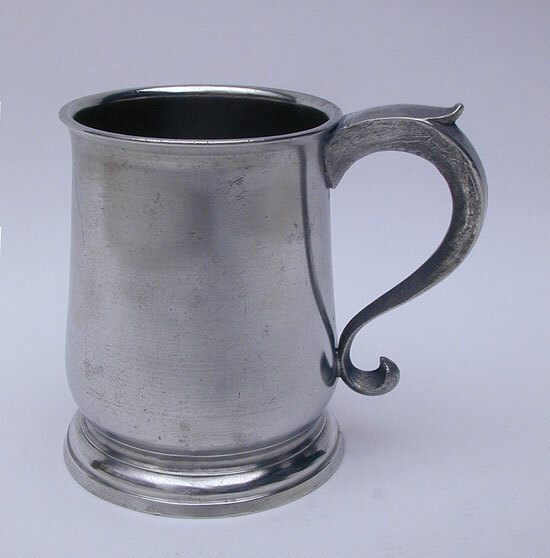 Often pewterers in their inventories and sales receipts listed items of "common" pewter. This mug is likely from that class. 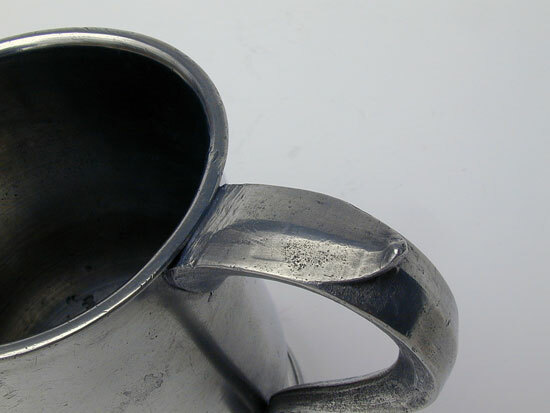 The finish on the body shows fairly broad turning lines unlike fine finish lathe marks most often seen on tankards and teapots. 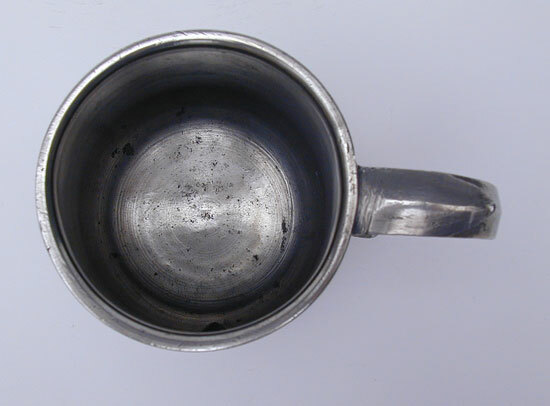 Also note that the sides of the handle are rough. This is the way the handle came out of the mold. The imperfections on the casting mirror the imperfections in the mold and the coating of ochre and egg mixture used as a "parting" material. 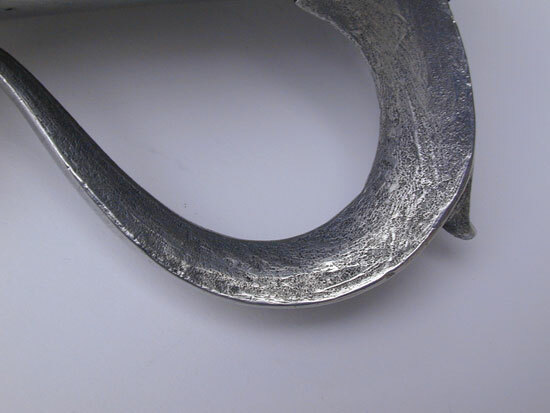 The top and back of the handle are finished by the typical scraping method. 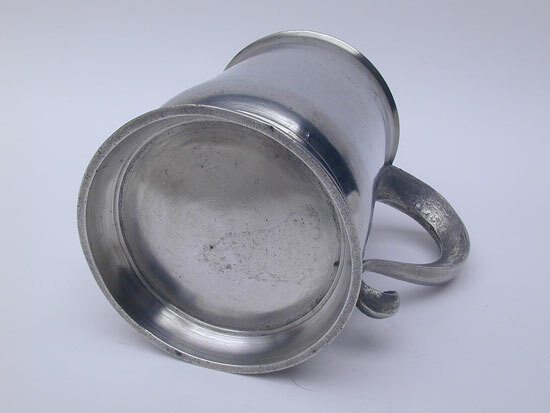 The mug has a few small pitted areas on the inside otherwise it is in very fine condition. It measures 4 9/16" tall to the lip. A rarely encountered form.